We are aware of a few cases where an ARION footpod had trouble charging when the battery was completely run dry. The reason for this is that the footpod then enters a battery protection mode, which ensures that the battery doesn’t get damaged and that the lifespan of the battery isn’t affected. The ARION pod is designed to get out of this state automatically when it is connected to the ARION charger – but in rare cases that takes longer than expected during which time the LEDs are red. 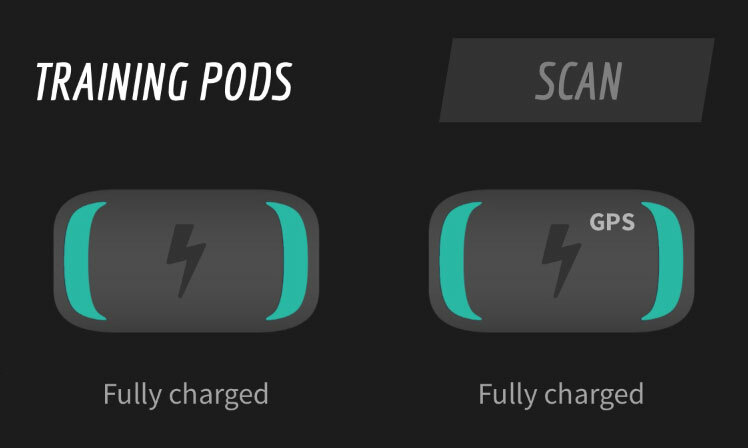 Leave the footpod on the charger non-stop for a long time (e.g. 24 hours). Most footpods automatically recover during this period – it’s very important that the power is not interrupted during this period to prevent the protection mode from starting over. If an ARION footpod is still flashing red after this period, detach the affected footpod from the ARION charger, wait 2-3 minutes, then reconnect it to the charger. The LEDs on the ARION footpod will now flash orange to indicate the footpod is charging. If you can’t get the footpod to charge properly with these instructions please send us a message at support@ato-gear.com and we’ll help you from there. We're also working on a more permanent solution for this on our end.